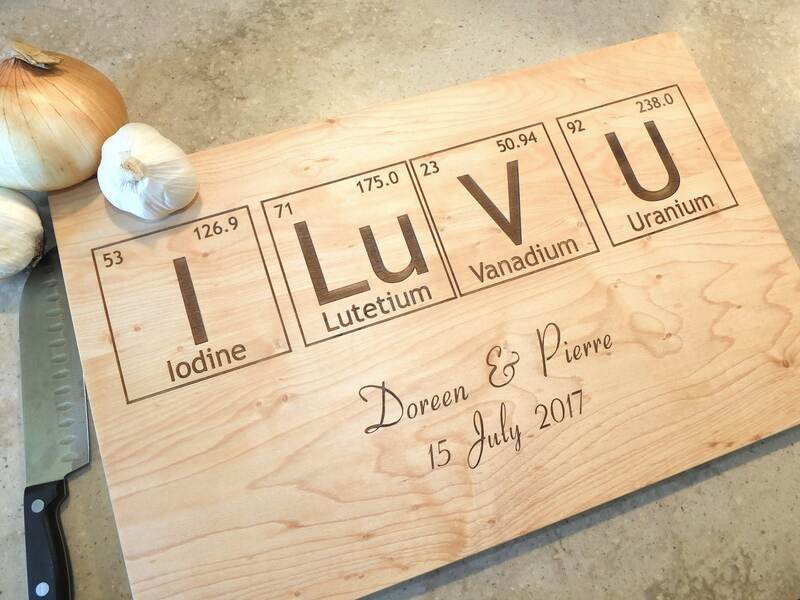 This beautiful Periodic Table inspired wooden cutting board makes the best wedding gift, meticulously engraved with the couple's names and wedding date. 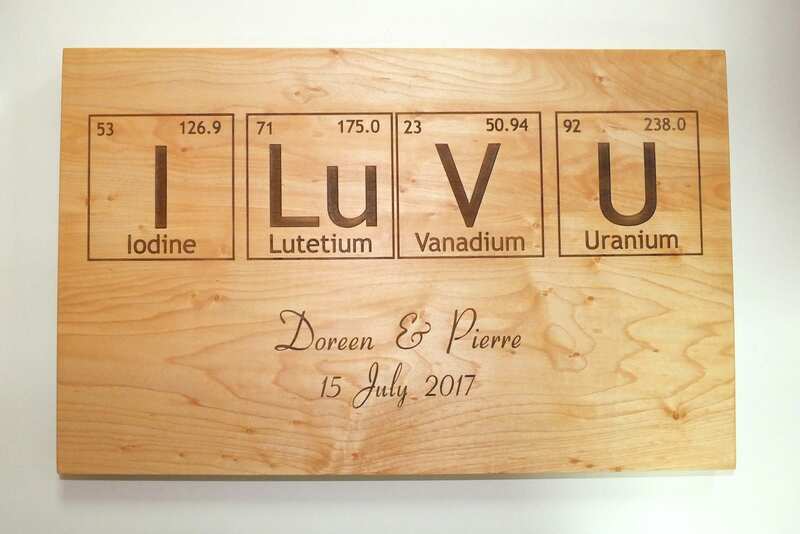 Our personalized cutting boards are laser engraved on beautiful North American hardwoods in your choice of walnut, cherry, maple or white oak. 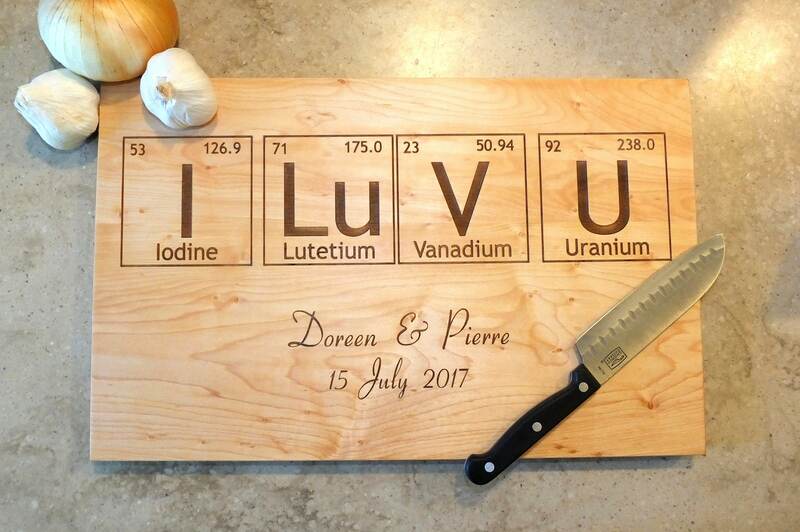 The engraved side is for display purposes while the other side is for chopping. 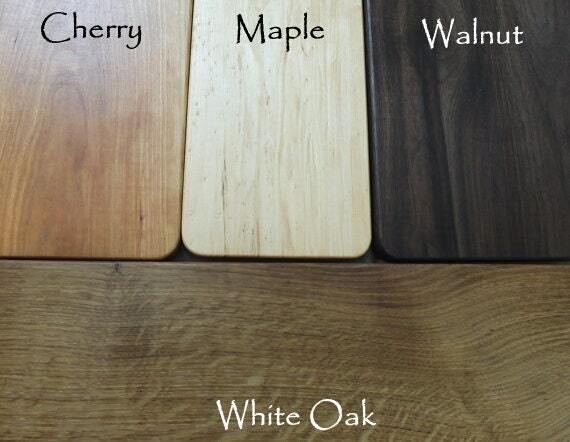 All surfaces sanded to perfection to reveal the beautiful wood grain. You have the option of adding an easel to display this beautiful board and save counter space, or add our board butter to maintain the beauty of the wood. 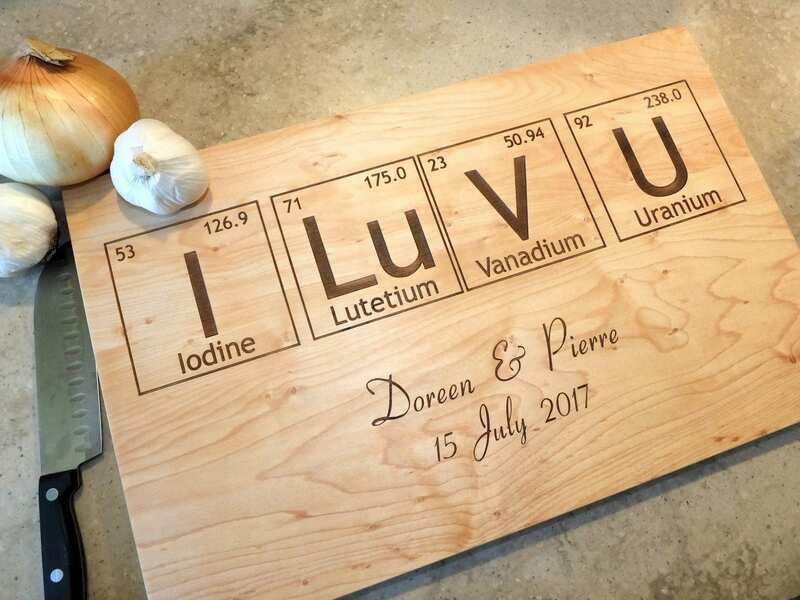 Please leave the exact spelling of the couple's name and wedding date in the 'note to seller' upon checkout.